All submitted articles are double blind fully peer-reviewed. 1- The work described has not been published before. 2- It is not under consideration for publication anywhere else. 3- Its publication has been approved by all co-authors, if any, as well as by the responsible authorities – tacitly or explicitly – at the institute where the work has been carried out. The publisher will not be held legally responsible should there be any claims for compensation. 4- The authors should explain in point form why their work is outstanding and what distinguishes this work from past work. What are the outstanding contributions of this paper and how does the paper contribute to an advancement of the state-of-the-art? Number of characters must be less than 500 characters. 5- The corresponding author should also fill and sign the copyright transfer form along with the authorship statement form signed by all authors. 6- The corresponding authors are kindly invited to submit their full-text papers including results, tables, figures, and references by E-mail to diyalajournal@gmail. Manuscripts must not exceed 15 pages using Microsoft Word 2007 or a later version. The sections should be arranged in the following order: Title Page, Abstract, Keywords, Introduction, Materials and Methods, Results, Discussion, Conclusion, Acknowledgments, Abbreviations (if any), References. Only the first letters of words in the Title, Headings and Subheadings are capitalized. Headings should be in bold while Subheadings should be plain. The authors are also requested to submit the title page, abstract and the keywords in Arabic language as well. 1- Manuscripts should be submitted in Word. 2- Use a bold 14-point Times New Roman for headings without numbering. 3- Use a bold 12-point Times New Roman for sub-headings. 4- Use a plain 12-point Times New Roman for the rest of text. 5- Use the automatic page numbering function to number the pages. 6- Do not use field functions. 7- Use tab stops or other commands for indents, not the space bar. Use the table function, not spreadsheets, to make tables. 8- Use the equation editor for equations. 9- Save your file in docx format (Word 2007 or higher). Footnotes can be used to give additional information. Footnotes to the text are numbered consecutively; those to tables should be indicated by superscript lower-case letters (or asterisks for significance values and other statistical data). Please always use internationally accepted signs and symbols for units (SI units). Please use the standard mathematical notation for formulae, symbols and other technical and scientific terms. Reference citations in the text should be identified by numbers in square brackets. Deposition techniques are classified into chemical and physical methods . These results are in agreement with those reported by Ali and Salman . This technique has been widely studied [1-3, 7]. The list of references should only include works that are cited in the text and that have been published or accepted for publication. Personal communications and unpublished works should only be mentioned in the text. Do not use footnotes or endnotes as a substitute for a reference list. The entries in the list should be numbered consecutively. Use 11-point plain Times New Roman font. Initial1. Surname1, Initial2. Surname2, Initial3. Surname3, in Book Title, ed. by Initial1. Surname1, Initial2. Surname2 (Publisher, City, Year), p. page no. alternative medicine use among adults and children, Report No. 12, Retrieved from U.S. Important note: Always use the standard abbreviation of a journal’s name according to the ISSN List of Title Word Abbreviations. Important Note: The authors are requested to provide (in separate page) the online links of all references appear in the reference list. 1- All tables must be written using a plain 10-point Times New Roman and to be numbered using Arabic numerals. 2- Tables should always be cited in text in consecutive numerical order (e.g. Table (1) shows ………). 3- For each table, please supply a table caption (title) explaining the components of the table using a plain 11-point Times New Roman (e.g. Table (1): The deposition parameters used in the present study). 4- Identify any previously published material by giving the original source in the form of a reference at the end of the table caption. 5- Footnotes to tables should be indicated by superscript lower-case letters (or asterisks for significance values and other statistical data) and included beneath the table body. 1- All figures are to be numbered using Arabic numerals. 2- Figures should always be cited in text in consecutive numerical order. Figure parts should be denoted by lowercase letters (a, b, c, etc.) (e.g. Figure (1a) shows the diagram …….). 3- If an appendix appears in your article and it contains one or more figures, continue the consecutive numbering of the main text. Do not number the appendix figures, "A1, A2, A3, etc.". 4- Each figure should have a concise caption describing accurately what the figure depicts. 4- Figure captions must be typed using a plain 11-point Times New Roman begin with the term Fig. in bold type, followed by the figure number, also in bold type (e.g. Fig. (1): The actual diagram of ……). 5- Identify all elements found in the figure in the figure caption; and use boxes, circles, etc., as coordinate points in graphs. 6- Identify previously published material by giving the original source in the form of a reference citation at the end of the figure caption. 1- Asking a colleague who is a native English speaker to review your manuscript for clarity. 2- Visiting an English language tutorial which covers the common mistakes when writing in English. 3- Using a professional language editing service where editors will improve the English to ensure that your meaning is clear and identify problems that require your review. 4- Please note that the use of a language editing service is not a requirement for publication in this journal and does not imply or guarantee that the article will be selected for peer review or accepted. 5- If your manuscript is accepted it will be checked by our copyeditors for spelling and formal style before publication. All the papers submitted have to pass through an initial screening and will be checked through the Advanced Plagiarism Dectection Software (CrossCheck by iThenticate) and the similarity index must not exceed 20%. Submission is an admission by the authors that the manuscript has neither been previously published nor is being considered for publication elsewhere. A statement transferring copyright from the authors to DJPS is required before the manuscript can be accepted for publication. The necessary form for such transfer is supplied by the Editor-in-Chief with the article proofs. Reproduction of any part of the contents of a published work is forbidden without a written permission by the Editor-in-Chief. 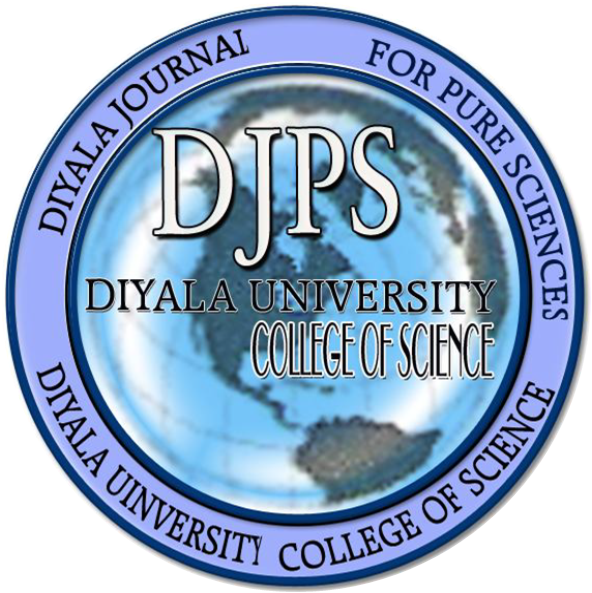 Articles, communication or editorials published by DJPS represent the sole opinions of the authors. The publisher shoulders no responsibility or liability whatsoever for the use or misuse of the information published by DJPS.